With a partial government shutdown looming, state agencies are making plans for what services might be reduced without a budget deal by July 1. But salmon don’t care about budgets and money. The fish are coming to Alaska waters whether or not the Alaska Department of Fish & Game has its usual resources to manage them. Commercial fishermen Haines are readying their gillnet boats for the upcoming salmon season. They have about three weeks before their first opener in the Lynn Canal. That’s about the same amount of time legislators have to approve a state operating budget before thousands of state employees face layoffs and many state departments face a partial shutdown. That includes Fish & Game. They count the fish and tell fishermen when and where they can operate. Haines fisherman Cindy Adams captains the LadyHawk. She says the budget uncertainty is not coming at an ideal time for the commercial fishing season. “Fishermen are ready. Everybody is just ready to go so we’ll do our best to make sure they have that opportunity,” says Jeff Regnart, Director of the Division of Commercial Fisheries for ADF&G. He says if a budget isn’t passed by July 1, ADF&G will have to operate with about 70 percent less money than usual. He says the department won’t stop commercial fishing, but the management of those fisheries could be more conservative. For example, the fleet could get less time to fish in a certain area. That’s because survey and research programs might suffer and biologists won’t have as much data to make management decisions. By July 1st, several fisheries will be underway across the state. In Southeast, those include salmon purse siene, gillnet and troll fisheries. But, Regnart says, ADF&G has its priorities. First is the conservation of fish stocks. Second to that is managing for subsistence use. Unlike a normal year, Regnart says most forecasts predict near records levels of salmon returns across the state. 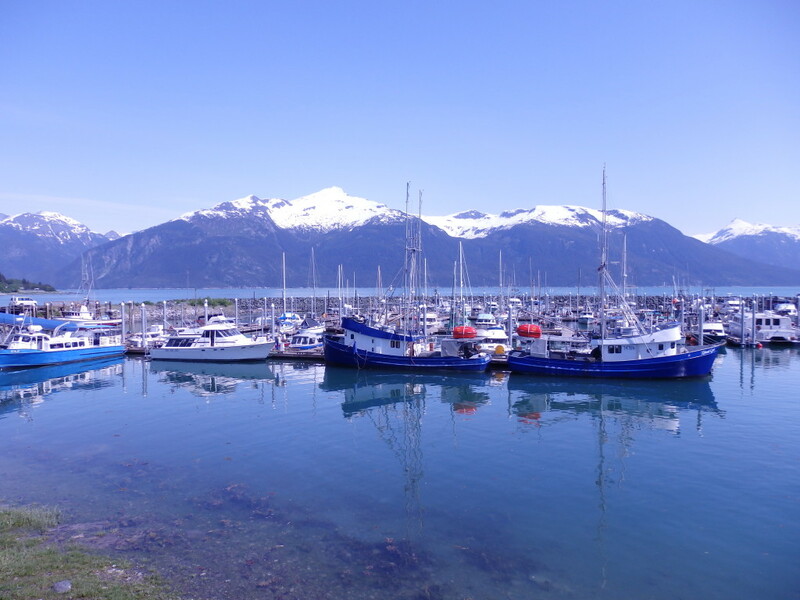 The threat of a government shutdown is not stopping the fleet in Haines from getting ready for business as usual. Across the harbor from Adams is fisherman Bill Thomas. “You know, we fished 12-hour openings in the past to conserve fish. Conservation isn’t a bad thing,” Thomas says. Thomas has firsthand experience with the legislature. He’s a former state representative, and he says a month is still plenty of time to forge a budget deal. Instead of worrying about what could happen to state government, Thomas will instead spend the next three weeks gearing up for salmon season.